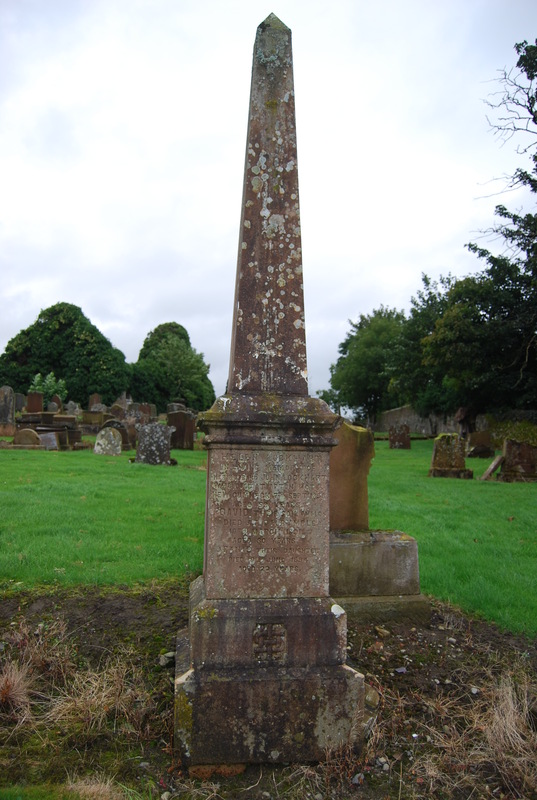 Andrew Gibson, surgeon, was one of seven professional persons in New Cumnock listed in the Ayrshire Directory of 1837, the others being the school master, four teachers and a physician. Andrew lived with his wife Ann Kennedy at Nithbridgend, a large house that stood at the Nith Bridge, opposite to the entrance of the Railway Station. 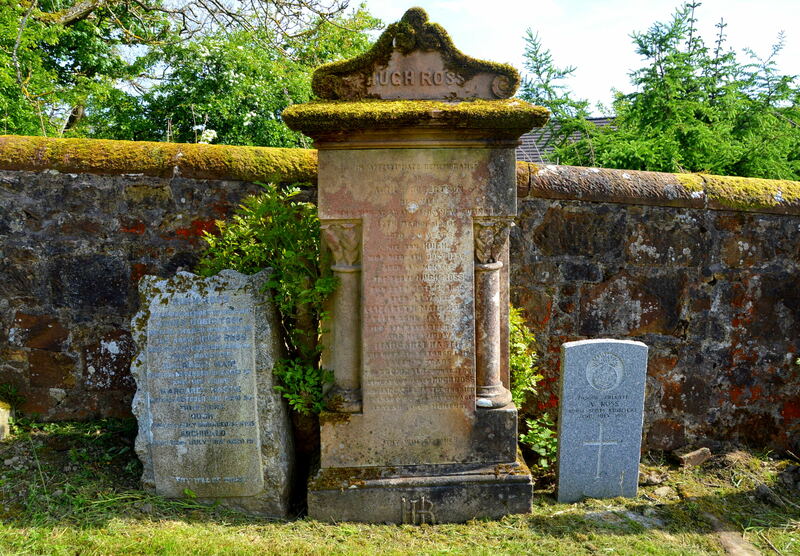 His eldest son William Kennedy Gibson was a druggist master and his son Andrew Gibson began his working life as a railway clerk at New Cumnock before moving to Glasgow as a shipping clerk. He and his family moved to Belfast where he worked as an agent for the Cunard Steamship Company. A great collector of books and he later became the Governor of the Linenhall Library, renowned for its collections of the works of Robert Burns. A small headstone was erected by ‘Andrew Gibson, surgeon’ in memory of his children Jean and Margaret. On the rear of the stone are found the initials A.K. and H.C. , presumably those of his wife’s parents, namely Alex Kennedy and Helen Currie. Sadly the stone has since been fractured and it can only be assumed that Andrew Gibson and his wife Ann Kennedy were later buried in this lair. The Kennedy family lair lies adjacent to this stone. Andrew Gibson, the third son of the surgeon, was born on 10th July 1825 at Nith Bridgend. As a young man he moved away from the parish and in 1853 he married Margaret Brown of Langholm and it was here in the same year that daughter Grace was born. 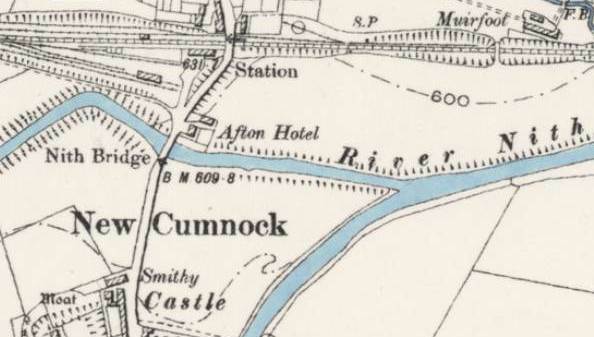 The family returned briefly to New Cumnock where daughter Annie (1855) was born. Back on their travels Andrew later worked as a grocer in Coylton, and it was here that daughter Margaret (1857) was born. The family returned to New Cumnock where by 1861 Andrew had established himself as a grocer and spirit dealer in the miners rows at Craigbank, on the Front Row. Here sons Andrew (1862), John (1864) and William (1867) were born along with two more daughters Ann (1870) and Agnes (1871). His wife Margaret passed away in 1877 and Andrew two years later. They lie together in the Auld Kirkyard with daughter Annie, son William and grandson Andrew. In the adjacent plot lies son John, daughter Grace and aunt Margaret Brown who worked as a barmaid in the Gibson’s public house at Craigbank. Daughter Margaret Gibson married William Hyslop, Laird of Afton and Bank, the driving force of New Cumnock Collieries Limited and landlord of the miners rows at Craigbank. Both of them lie together in Hyslop Lair in the Auld Kirkyard. In the 1881 census we find Hugh Ross, the son of a farmer from Wallaceton, Auchinleck living in lodgings at the Bank Glen Cottage and working as a grocer and provision merchant. Meanwhile at 59 Front Row, Craigbank is spirit merchant William Lind and his wife Marion along with their children, including Agnes Robertson , Marion’s daughter from her first marriage to the late Robert Robertson. 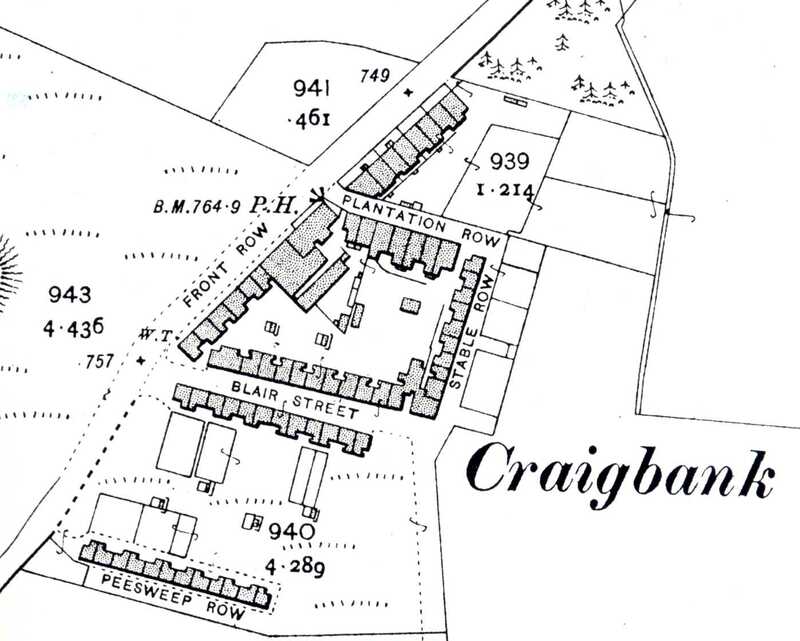 The following year Hugh Ross married Agnes Robertson and and was now living at Craigbank, the tenant of the properties ( house, shop and public house) owned by the Trustees of Andrew Gibson. 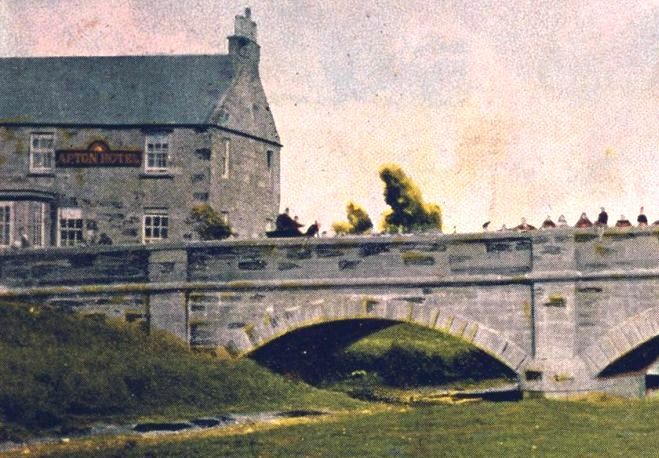 The Trustees of Andrew Gibson also owned the Gibson Nith Bridgend properties with the house now licensed as a hotel known as the Afton Hotel and next door lodgings Although the hotel sat at the Nith bridge, the name Afton and its association with Robert Burns was a stronger marketing brand. In 1885 the Valuation Rolls, record that John Ross is the tenant (presumably a relative of Hugh Ross) although four years later when it was put up for sale, Hugh Ross is identified as the occupier. The Afton Hotel, New Cumnock belonging to the Trust Estate of the late Mr Andrew Gibson and as presently occupied by Hugh Ross . The House has long been licensed, and is well situated, being near the Railway Station. The property is held on a 99 years lease which expires on Whitsunday 1930. Tack-duty 13s 6d. Entry at Whitsunday first. For further particulars apply to A. Brakenridge, Solicitor, Cumnock who will receive offers up to Saturday, 9th March. The Highest or any Offer, may not be accepted. 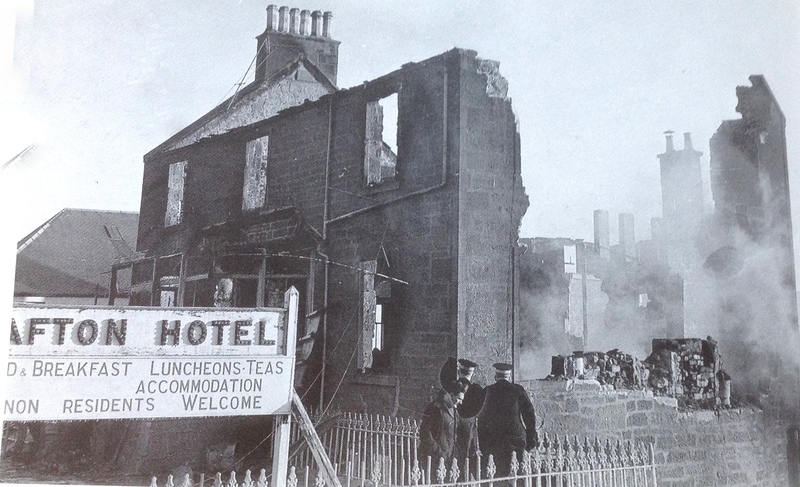 Cumnock, 25th February 1889. In 1895 Hugh Ross married Margaret Hastie in the Royal Hotel, Kilmarnock. He was now the proprietor of the former Gibson properties both at Craigbank, (where he lived with his family) and the Afton Hotel where William Lind (his father-in-law) was now the tenant. Hugh and Margaret’s first born, a son Hugh died in infancy in 1896 and another son James was born two years later. Archibald was born in early October 1899, only for Hugh to die of double pneumonia before the end of the month. Margaret and her two sons moved to Cathcart, Glasgow, she passed away in 1916, aged 50 years. Archibald served with the Royal Scots Fusiliers in the Great War and in 1918, at the age of 19 he died of pneumonia in the Victoria Infirmary, Glasgow. 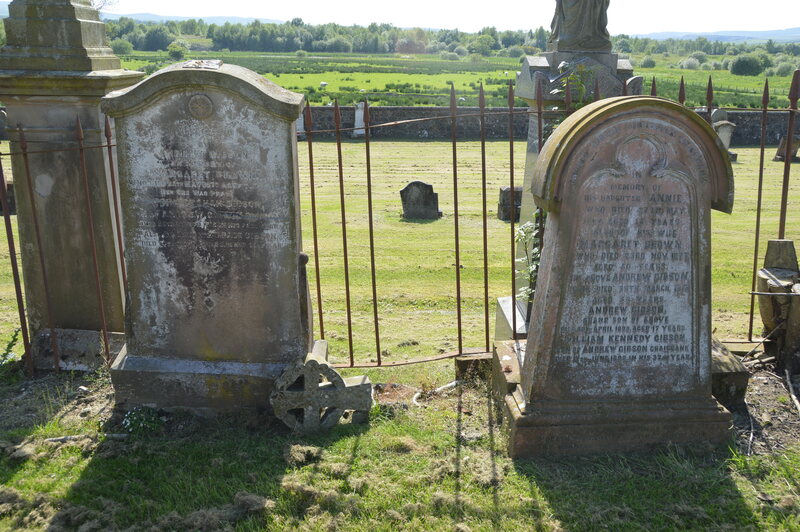 The Ross family plot lies against the far wall of the Auld Kirkyard with the original grand sandstone headstone now badly weathered and which has since been replaced with a new stone on the left. Hugh, his two spouses Agnes and Margaret and children Hugh, Elizabeth and Archibald all are remembered on the stone. To the right stands the war grave of Private Archibald Ross. When the Afton Hotel went on the market in 1889, it’s not clear if any offers were accepted at that time, although by 1895 Hugh Ross was the proprietor. In 1890, John Lockhart was the hotel-keeper at the Afton Hotel. 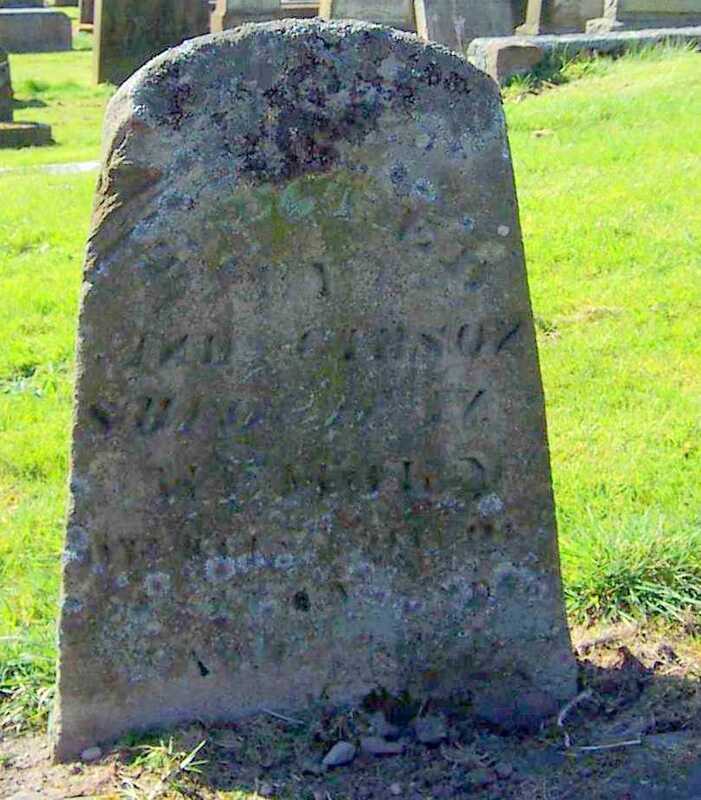 Originally a journey man stone mason from Lesmahagow he married Helen Wilson in 1856, a dairy maid from Benston, Dalrymple. The family spent many years in Perthshire and Stirlingshire with John now working as a gamekeeper. 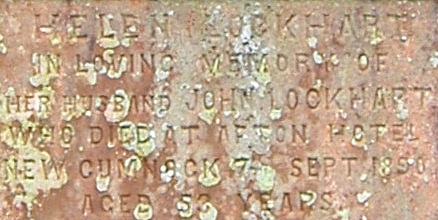 It’s not known exactly when the Lockharts arrived in New Cumnock either as owners and / or tenants of the Afton Hotel, but John died in September 1890 whilst hotel-keeper there. In the census of the following year Helen Lockhart, hotel-keeper and her daughters Jane (27) and Ness (26) – a school teacher -are living at the hotel. A son David died at Dalrymple that year and three years later Jane passed away. By 1901, Helen Lockhart is living in Eastwood. As discussed above, in 1895 William Lind (father-in-law of Hugh Ross), was tenant and hotel keeper at the Afton Hotel. 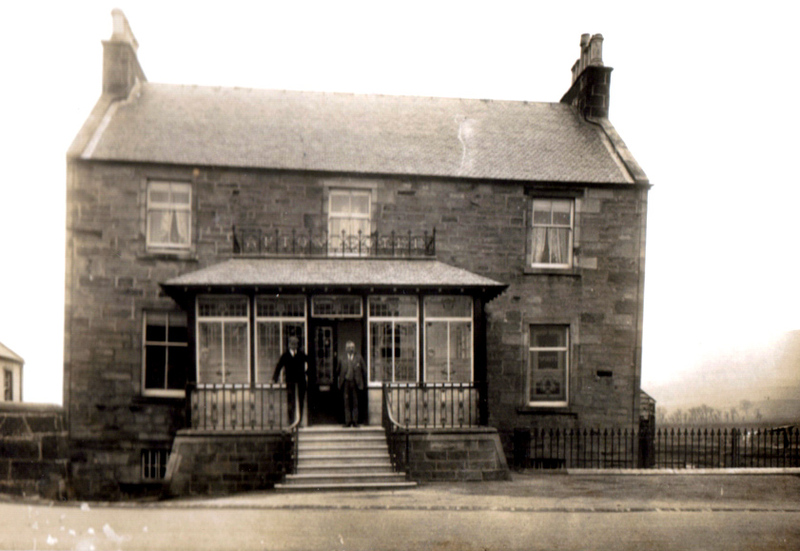 William was born in 1846 at West Calder and as young man worked as a grocer’s assistant to his brother John, before running his own shop in the village and then in the 1880s’ moving to Craigbank. In the 1901 Census William (54), now a widower and his children Marion (32), Isabella (31), Janet (25), Robert (21) and several grandchildren are resident in the Afton Hotel. He later married Janet Millar and was proprietor and tenant of the Afton Hotel until his death in 1920, aged 75 years. The Afton Hotel remained in the hands of the Lind family for many years . Sadly soon after it changed hands it was consumed by fire in January 1963 and so badly damaged that it had to be demolished. Valuable information for those who may be descended from this family. Looking forward to more interesting stories. I found this fascinating as my granny grew up in the Afton hotel. She was Agnes Lind and William Lind was her grandfather. I have many happy memories of visiting New Cumnock, going to my ‘Aunt’ Maisie’s in Farden Avenue and walking through the scheme. Thank you for sharing this. Thank you for visiting and Im glad you enjoyed the article. Thanks, do you have any more of those pictures of the place or does anyone else, i will be meeting with planning in 2 weeks up there so will see what they know.